Since it was acquired by Marcel Dassault in 1955 Château Couperie, renamed Château Dassault, has not ceased to make progress. Large investments have been undertaken regularly, as much in the vineyard as in the methods and equipment necessary for vinification and ageing. But if a great wine is the result of a passion, it is also the fruit of lots of hard work, vintage after vintage. While respecting the terroir and the people who have known it over the centuries, it is a question of enhancing the potential, with the humility imposed by the vagaries of nature. As in any company, risk taking, investment and innovation are the essential keys to success. It is the right balance between tradition and progress that allows wine to develop without losing its spirit, until it achieves excellence. All the vineyard work, carried out with care throughout the year, is thought out and well-reasoned according to the potential of the vintage and the different plots. These efforts contribute to obtaining optimum and healthy ripeness in the grapes; the essential guarantee in the creation of great wines that are respectful of their terroir. The maturity of the flesh of the grape is not enough; for our vineyards we look for complete phenolic ripeness all the way from the skin of the grape to the pip. Like this, the maximum can be drawn from the terroir, allowing it to express itself. It is an essential and permanent quest. Tasting the berries, plot by plot, helps to fix the date of the harvest. A first careful, manual selection is performed by the pickers in the vineyard. Then the harvest is taken to the cellar in small crates. In 2009, Château Dassault was one of the first properties to make use of an optical sorting table. This innovative investment allows us to determine the quality of berries we accept in an extremely precise way. It also allows us to work very quickly, which means that we can take all necessary risks in order to fix the harvest date and pick at optimum ripeness. The vat rooms at the different properties of Dassault Wine Estates also reflect this wish to glorify the expression of a unique vineyard and terroir. 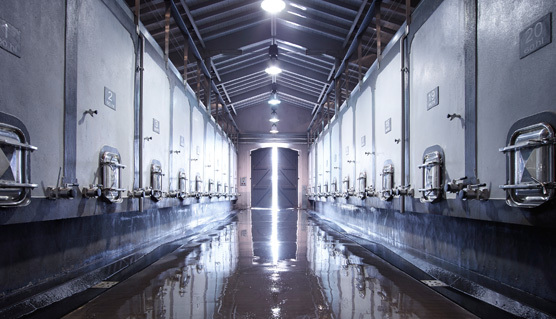 The delicate winemaking process takes place in small concrete temperature-controlled tanks, allowing each plot to be vinified apart, with respect for its personality. These small-batch vinifications have just recently been coupled with complete barrel fermentation of the property’s most representative batches. Oak is an alluring component in wine that should help to bring out the fruit. 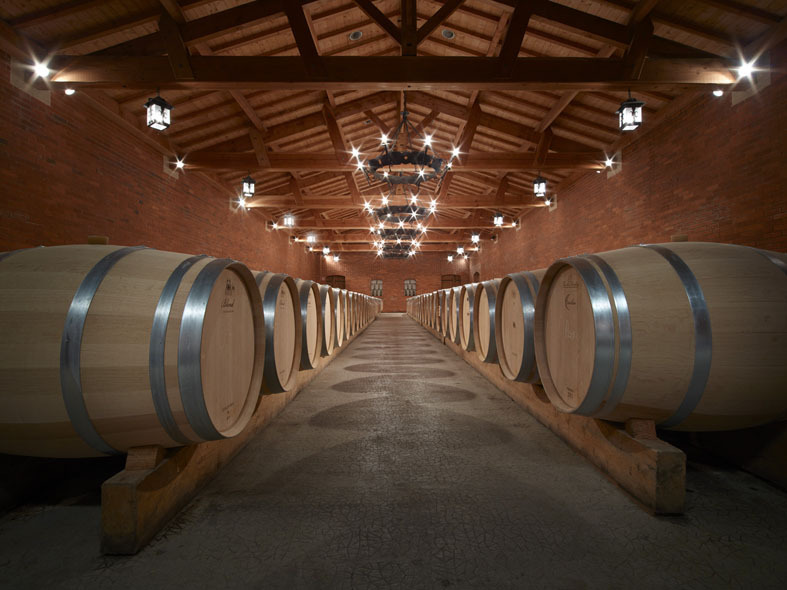 The malolactic fermentation is partly carried out in new barrels. The wine is aged in these barrels for 14 to 18 months. Throughout this ageing period, oxygen passes through the grain of the oak and modifies the tannins, making them silkier and better integrated. The orders for barrels are planned each year, always taking care to use a number of different suppliers. The sourcing of the oak from central France, as well as a minimum of two years’ seasoning, are an indispensable part of the technical specifications. To accentuate this quality requirement, the team at Dassault fine tunes the search for elegance and complexity with a very precise check on the different forests chosen and also on the level and duration of toasting. All the coopers take part in this precision quality research every year. The barrel must contribute to the complexity of the wine’s fruit by adding spicy, varied and complementary aromas and thus enhancing the fruit.